While housing is widely recognized as a right, capitalism denies it to millions of people. In the wealthiest country in the world, rampant homelessness and inadequate housing is testament to this. Capitalism fails to provide adequate living conditions precisely not because there aren’t enough homes but because housing is a commodity. The profit driven motive and the chaos of overproduction under capitalism mean that housing is a privilege, not a right, in this society. 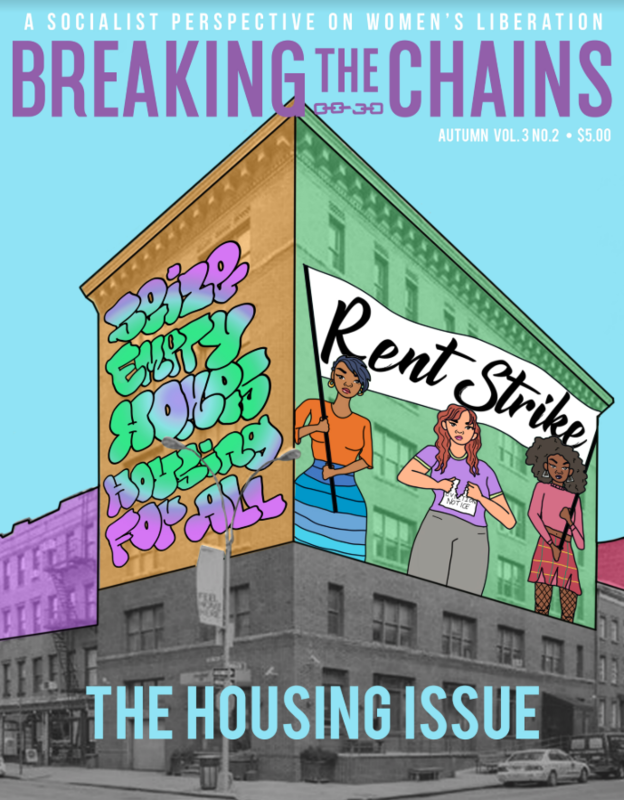 The right to profit off housing is protected at all levels by the capitalist state and the struggle for housing often puts the people’s movement in direct conflict with the state and the capitalist system. For super-oppressed workers, like women, the lack of adequate housing deepens our oppression, making us even more vulnerable to the brutalities of the capitalist system. “The Housing Issue” explores many of the problems surrounding the denial of housing and the question of patriarchal oppression. The testimonials elicit tears and anger at the capitalist system. The analysis explains the fundamental contradictions we face. The interviews educate us about the frequently untold history of our struggle. The description of socialist housing offers an alternative.